Publish your post by 25 April 2011. 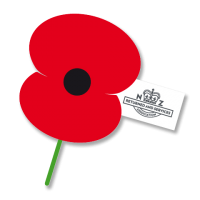 After Anzac Day, all submissions will be listed in a summary posting on the Auckland Libraries’ blog and also Twigs of Yore blog. The virtual exhibition consists of "albums" containing photos/images and documents. Virtual albums entitled "Gallipoli", "Lest We Forget", "New Zealand Maori Battalion", "Peace", "Postcards" and "Returned Services Association". Also has a portal for searching content nationwide from organisations such as libraries, archives, museums and galleries, including Auckland Libraries. Courtesy DigitalNZ. Searching using WWI or WWII etc. will return you wonderful results of holdings throughout the whole of Auckland Libraries, which you can narrow down by location by using the "select location" menu. For other sites, try looking at the Auckland War Memorial Museum; the Australian War Memorial site and the National Archives of Australia, or look further using the resources listed on Cora Num’s website.